Are you interested in Math and Science? Considering a career in Architecture, Engineering or the Sciences? According to a recent survey, 6 of the 7 highest paid undergraduate degrees are in Engineering (Computer Science was 4th). Also, the single most common denominator of Fortune 500 CEO’s is an undergraduate degree in Engineering. The Rowley Center for Science, Engineering & Architecture is a state-of-the-art facility which proudly offers courses in Architecture, Chemistry, Engineering, Geology and Physics. The Associate in Science degree program in Engineering Science is designed specifically to enable students to transfer, with junior status, to the upper-level engineering college or university of their choice, where they can complete the Bachelor of Science degree in Engineering. As such, the program provides the same core courses that would be required in the first two years of study at most four-year institutions offering engineering degrees. The Associate in Science degree program in Liberal Arts and Sciences with a Mathematics and Science emphasis is designed specifically for students to transfer, with junior status, to the appropriate upper-level college or university of their choice, where they can complete the B.S./B.A. degree in their chosen field of study. As such, the program provides core courses and general education requirements that would be included in the first two years of study at four-year institutions. This degree gives mathematics and science students the flexibility to match a program to their individual goals, backgrounds and talents. The various curricula provide the opportunity to pursue a variety of academic and career interests in mathematics and in the natural/physical sciences. The Associate in Applied Science degree program in Architectural Technology prepares graduates to enter the workforce as architectural team members. While other opportunities exist, the largest job opportunities are positions as interns/ CAD operators for architectural firms. Graduates’ skills will prepare them to produce working drawings in a variety of settings, such as engineering firms or manufacturers. If graduates have field experience in a building trade, all program outcomes are directly transferable to entry-level positions in construction management and supervision. A broad cross-section of course content is covered in the program; this familiarizes students with many aspects of the architectural profession, the work of building professionals and the construction process. 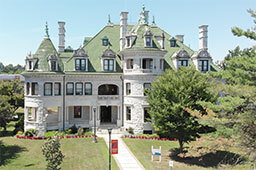 The Science, Engineering and Architecture faculty at SUNY Orange will work together to provide one of New York state's premier A.S. in Engineering Degrees and A.A.S in Architectural Technology Degrees by providing a caring and challenging learning environment which both encourages and enables students to succeed. The mission of the Department of Science, Engineering and Architecture is to provide excellent instruction, support and advising to all students. The instruction will be provided by a dedicated and highly qualified group of faculty across the entire campus. The primary concerns of our faculty will be the continued success of the student and the integrity of instruction. At SUNY Orange all classes, recitations and laboratory sessions will be taught by professors (there are no graduate assistant student instructors at the College.) The mission of every member of this department is to be available to the student and to be dedicated to the student's success.